Here at Leviner Wood we love a good excuse to sip a great bourbon, even if it is mixed with mint and simple syrup. 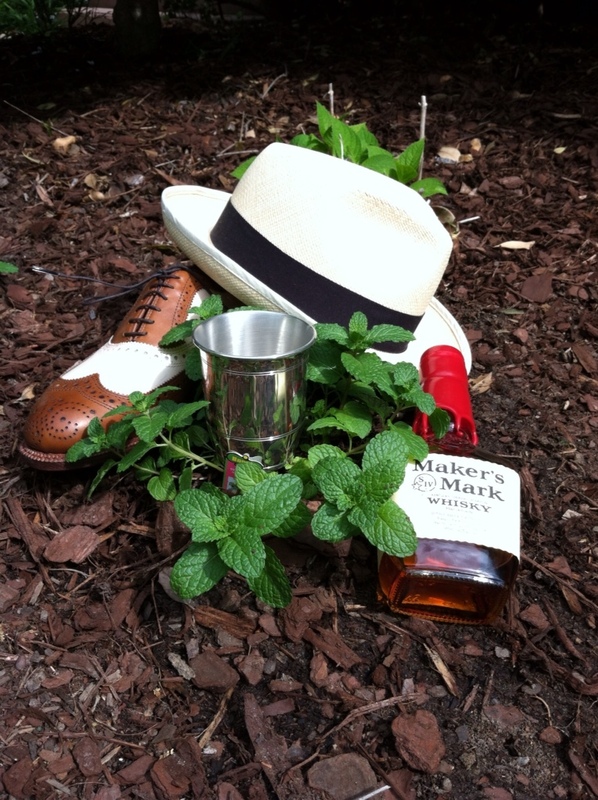 And a mint julep on Derby Day just wouldn't taste the same if it were downed while wearing cargo shorts and an AC/DC t.
This entry was posted in Uncategorized and tagged Allen Edmonds, custom shirts, Derby Day, julep cups, mint julep, Shirts, Shoes, Spectator shoes, straw hats. Bookmark the permalink.